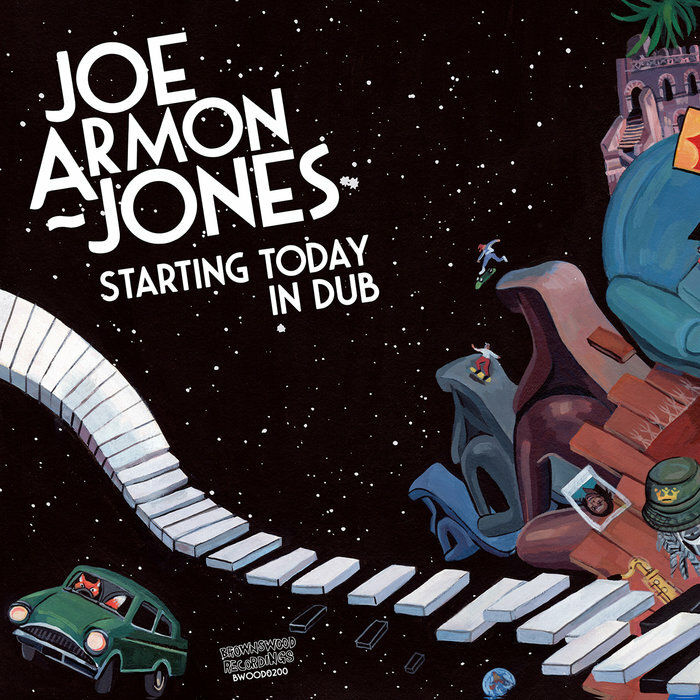 As the title suggestions, this tidy two-tracker offers up fresh dub-wise revisions of tracks from virtuoso keys player Joe Armon-Jones's superb solo debut album "Starting Today". It's a revision of the album's title track that pops up first, with the Ezra Collective member delivering a rolling, reverb and delay-laden version that layers his jammed-out keys and woozy horns over a sweaty, slipped jazz-house beat and warm, life-affirming bassline. Ashebar lends a hand on a new version of album favourite "Mollison Dub", toasting impressively over a heavy dub riddim, echoing horn blasts, delay-laden percussion hits and the kind of sub-heavy bassline that will sound spectacular coming out of a Jamaican style valve amp-powered soundsystem.